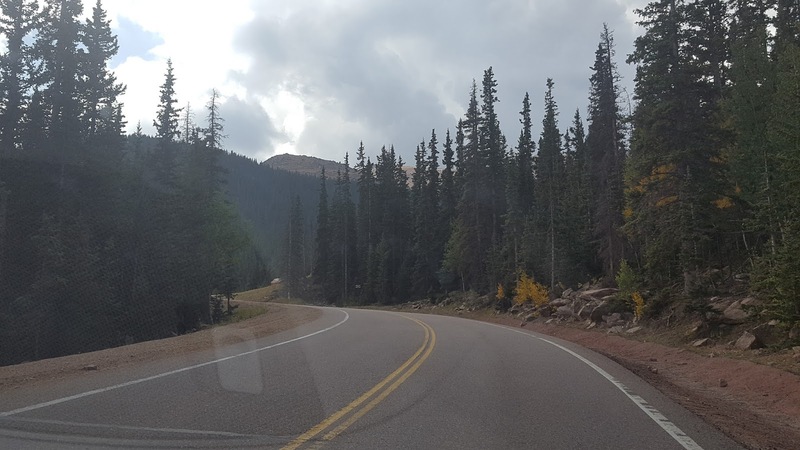 I have written about some great places so far in Colorado, but there are many roads here which offer breathtaking scenery on the way. 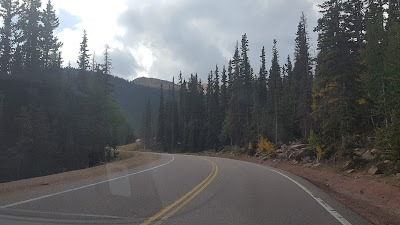 We have been to some such drives - Trail Ridge road in Rocky mountain national park, Independence pass near Aspen etc., There are a few more drives in my wishlist like Million dollar highway near San Juan, Drive to Mt. Evans near Denver. One such a lovely drive was to Pikes peak summit by road. The train ride to the summit is excellent whose details you can read in this post. But, the drive by car is nothing less amazing. 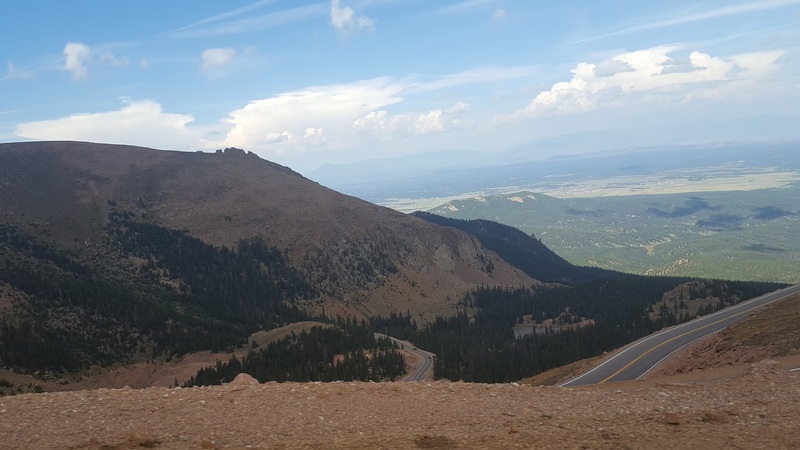 Pikes peak highway is a 19-mile toll road connecting Cascade to Pikes peak summit at an elevation of 14,115 ft above sea level. Along the way, you can visit North slope recreation area, Crystal creek reservoir, Historic Glen cove inn and the Summit house. Admission to the highway as on 2017 is $50 per vehicle from May 1 to Nov 30 and $3 per vehicle between Dec 1 to Apr 30. Visit this site for latest information on toll fee. The 39-mile round trip takes at least 2 hrs. There are approximately 162 turns and there is no gas station on the way. 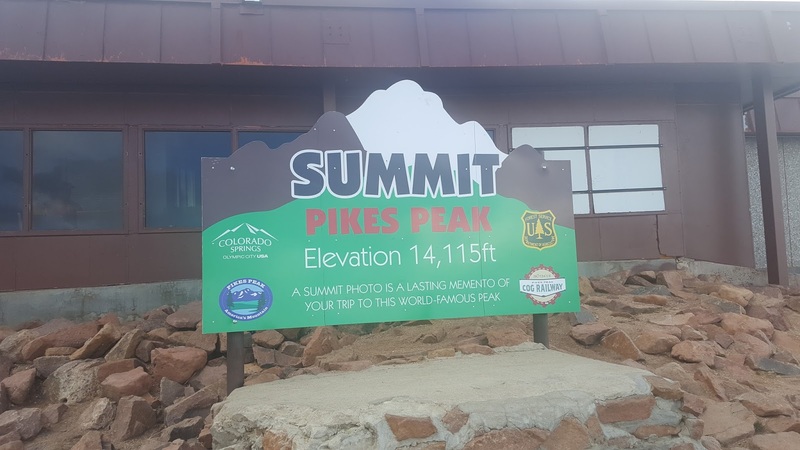 The temperature changes drastically from the base of the mountain to the summit. So, extra layers of clothing are recommended. We can spot a deer/ elk on the way. 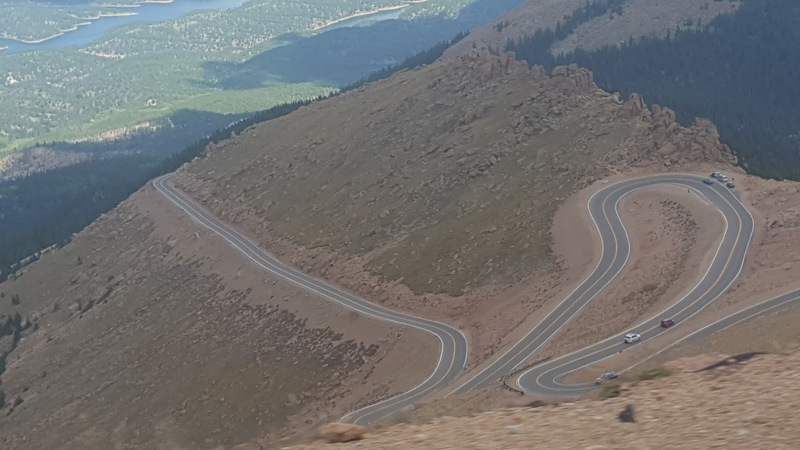 The view of curvy roads from the top looked beautiful. 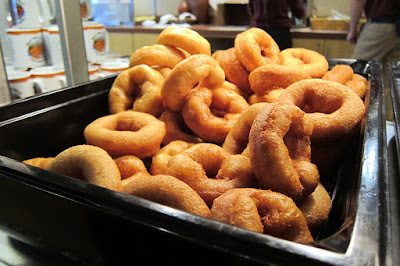 The summit is famous for its delicious doughnuts. I love those doughnuts. 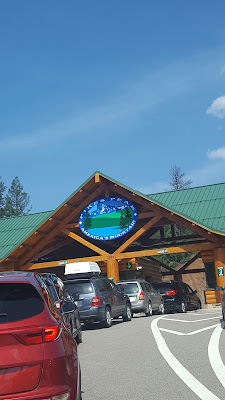 The summit also has a gift shop and many areas to view the beautiful scenery with mountains and valley. 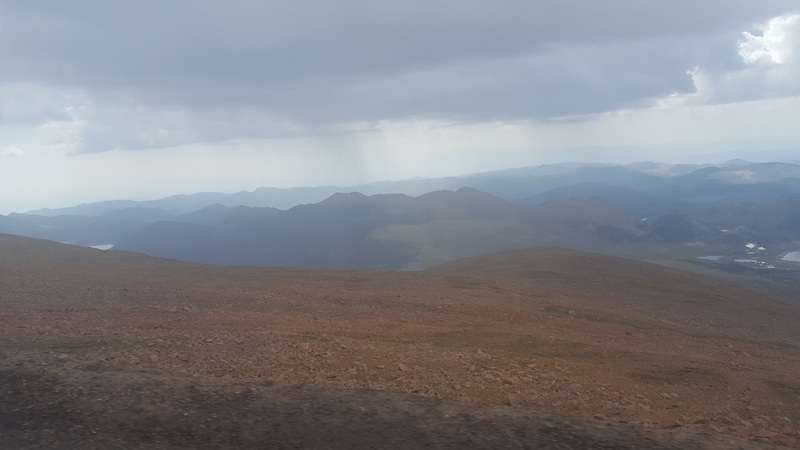 On our return trip, we experienced a sleet - a rain with a mixture of water and snow pellets. It was wonderful. So, how did you like this virtual drive? Beautiful pictures. I felt as if I were on the journey with you. Lovely! Reminds me of our trip to Ladakh :) gorgeous pictures and that drive would have been a bliss. Amazing pictures! 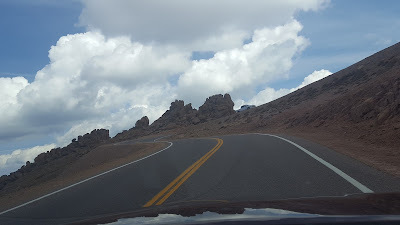 I have been traveling a lot in the past few months and have been on some curvy roads myself. Ladakh was one and now I was in Shillong, Cherrapunji, traveling is fun. The changing temperatures sound kind of fun if you are adequately dressed for them. That first picture is downright scary. 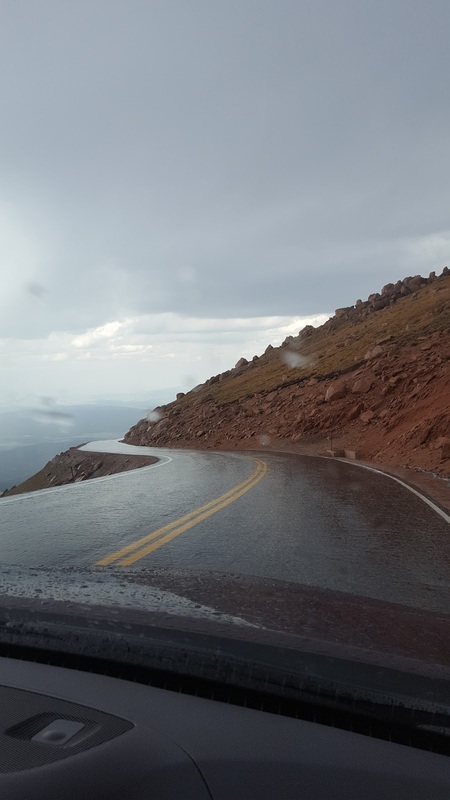 I'm trying to imagine driving around those curves while rain or sleet is coming down! Scary. Would love to ride there someday!